BuzzFeed’s 22-month legal battle led to numerous revelations about how the Steele dossier was shared within the government and media world. On Wednesday, a federal judge dismissed the lawsuit against BuzzFeed, and in the course of doing so, revealed many of the secrets that had been obtained throughout discovery in the case. The judge’s ruling helps fill in the gaps of how the dossier was distributed to the press and top government officials, including late Sen. John McCain. Much has been learned about how the Steele dossier was shared among government officials and the media in the nearly two years since BuzzFeed published the salacious document. Some of those details have come out through news reporting about the origins of the dossier, which was funded by Democrats and compiled by former British spy Christopher Steele. Other information has come out during the course of a 22-month legal battle between BuzzFeed and Aleksej Gubarev, a Russian tech executive who sued the news outlet for publishing the dossier, which included one memo accusing Gubarev of using his web companies to hack into Democrats’ computer systems. Here is a recap of how the creators of the dossier, Steele and Fusion GPS founder Glenn Simpson, distributed it prior to BuzzFeed’s publication — and who in the government and media obtained it. FBI: Steele had his first meeting with an FBI agent to discuss his Trump work on July 5, 2016. The former British spy, which weeks later had been hired by Fusion GPS, met in Rome with Michael Gaeta, an FBI agent who Steele had worked with on a FIFA bribery investigation. Gaeta received approval to meet with Steele from Victoria Nuland, the assistant secretary of state for European and Eurasian Affairs at the State Department. Jonathan Winer: The State Department’s special envoy to Libya, Winer met with Steele in September 2016. Meeting at a hotel in Washington, D.C., Steele allowed Winer to review his Trump memos. Winer wrote up a two-page summary of Steele’s reporting and shared it with Nuland and Jonathan Finer, the chief of staff to then-Secretary of State John Kerry. Winer also provided Steele with materials he received from Sidney Blumenthal, the longtime Clinton insider. 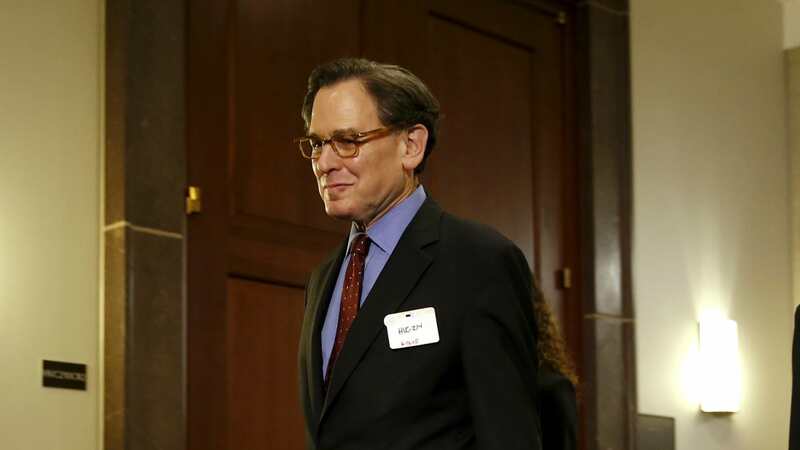 Blumenthal provided Winer with a dossier he received from Cody Shearer, another Clinton ally. Shearer produced a report making similar allegations about Trump’s ties to Russia. Bruce Ohr: A Justice Department official whose wife worked as a contractor for Fusion GPS during the firm’s Trump investigation. Ohr and Steele had contact prior to Steele’s work for Fusion GPS on other Russia-related investigations. Ohr also served as a back channel of sorts between Steele and the FBI after the bureau severed its relationship with Steele because of his contacts with the media. Ohr briefed the FBI at least a dozen times about his interactions with Steele from November 2016 through May 2017. David Kramer: Steele met Kramer, a former State Department official, and close associate of deceased Republican Sen. John McCain’s, near London on Nov. 28, 2016. Days earlier, Kramer and McCain had run into Sir Richard Dearlove, the former chief of MI6, and an adviser to Steele’s intelligence firm. During their meeting, Steele briefed Kramer on the investigation into Donald Trump and his campaign. When Kramer returned to the U.S., he obtained a copy of the dossier from Glenn Simpson. Simpson told Steele that he had long known Kramer and trusted him with the dossier. Simpson told Congress that he was “very angry” that BuzzFeed had obtained and published Steele’s report. John Burks: According to Judge Ungaro, Steele provided copies of his work to Burks, who served as House Speaker Paul Ryan’s chief of staff. Ryan’s office disputed that account, telling The Daily Caller News Foundation that Burks never met Steele and did not receive any information directly from the former spy. It remains unclear who sent Burks the Steele information. Adam Kinzinger: Steele’s reports were also provided to Kinzinger, a Republican representative for Illinois who has been a critic of Trump’s. A spokeswoman for Kinzinger also disputed Ungaro’s assertion that Steele provided the dossier to the lawmaker. “Congressman Kinzinger has never met Christopher Steele nor has he had any direct contact with him. He was given a copy of the dossier shortly before it became public on Buzzfeed, but never thought anything of it until this story yesterday,” said Kinzinger spokeswoman Maura Gillespie. Celeste Wallander: Steele also provided Walladner, the senior director of Russia and Eurasia on President Barack Obama’s National Security Council, with a copy of his reports. ABC News: According to the book “Russian Roulette,” at some point in July 2016, Simpson tipped ABC News reporter Brian Ross off to Sergei Millian, a Belarus-born businessman who is alleged to be a major source for the dossier. Ross interviewed Millian on July 29, 2016, two days before the FBI would open its counterintelligence investigation into four Trump campaign associates. Millian claimed to have ties to Trump as well as to the Russian government, though Simpson doubted some of the alleged dossier source’s claims. Millian is alleged to be Source D in the dossier. That source claimed the Kremlin has a blackmail video of Trump with prostitutes in a Moscow hotel room. Paul Wood: Simpson provided Wood, a BBC reporter, with a copy of the dossier, according to a report from Vanity Fair. Reporters: Steele revealed in court filings in the U.K. that beginning in September 2016, he and Simpson briefed reporters from The New York Times, The Washington Post, Yahoo!, Mother Jones, CNN, and The New Yorker about information in the dossier. Only Yahoo’s Michael Isikoff and Mother Jones’ David Corn would publish articles based on the dossier prior to the election. Isikoff reported on Sept. 23, 2016 that investigators were looking into Carter Page. Isikoff reported some of the details of Steele’s reports alleging that Page met secretly in Moscow in July 2016 with two Kremlin insiders. Page has strongly denied the claim. Corn reported on Oct. 31, 2016 that an unnamed Western intelligence operative — now known as Steele — had gathered information suggesting an illicit relationship between Trump and the Kremlin. Both Isikoff and Corn relied on Winer, the State Department official, as confirming sources for their articles. Victoria Nuland and Celeste Wallander: Shortly after receiving Steele’s reports, Kramer met with Nuland, an assistant secretary of state, and Wallander, the top Russia expert on the National Security Council. Nuland and Wallander told Kramer they were familiar with Steele and had seen his Trump work. Kramer did not provide them with a copy of the dossier. BuzzFeed and other news outlets: According to Ungaro’s filing, Kramer met at the McCain Institute on Dec. 29, 2016 with Ken Bensinger, a BuzzFeed reporter. Kramer briefed Bensinger on Steele’s report, saying that “some of the information was unverified.” Bensinger photographed the 35 pages of the document, though there is some dispute over whether Kramer authorized Bensinger to do so. Bensinger claimed that Kramer allowed him to photograph the pages, while Kramer said that he asked Bensinger not to. Kramer later said that he had no problem with Bensinger taking a hard copy of the dossier. He said he had provided the dossier to other reporters. James Comey: On Dec. 9, 2016, days after receiving the dossier, McCain met with Comey at his FBI offices. 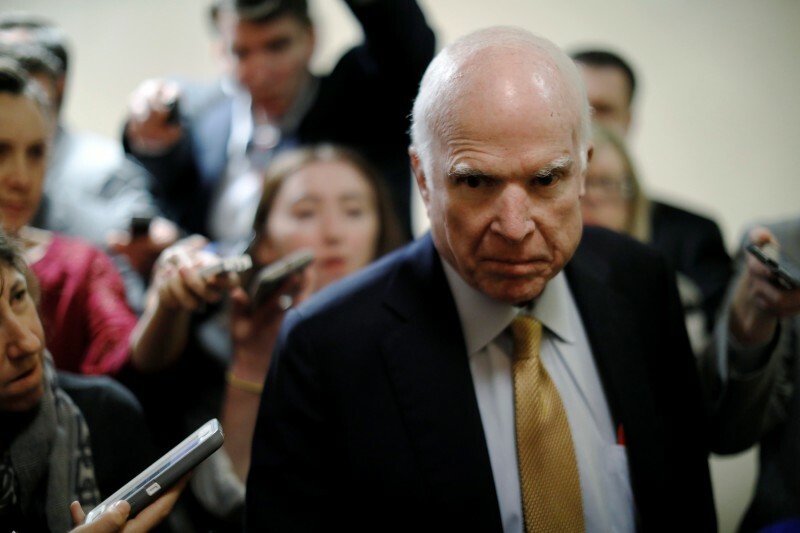 After BuzzFeed published the report, McCain issued a statement defending his decision, claiming that he merely wanted Steele’s allegations to be investigated. Kramer’s outreach to the media would seem to undercut McCain’s claim, though it is unclear if the late senator was fully aware of Kramer’s activities.